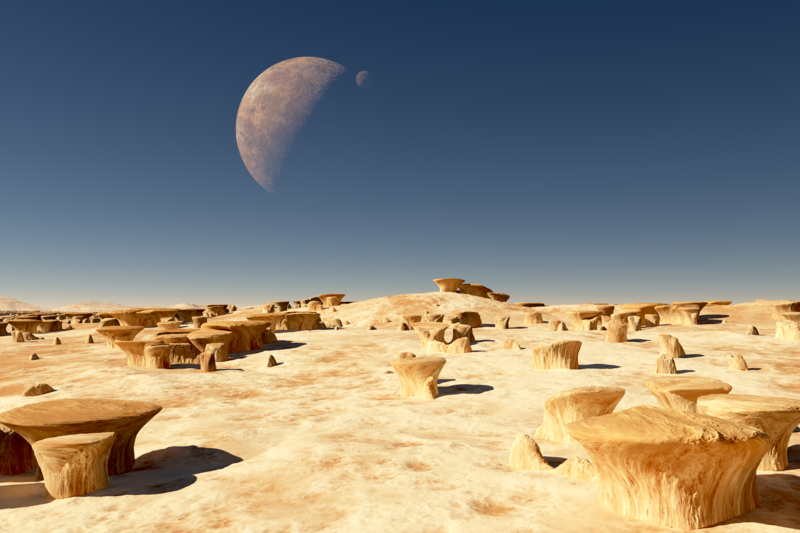 Solar Voyager: realmoh - "Mushroom Desert"
We have 0 member(s), 2 spiders, 7 guest(s), and 0 anonymous users online. A fictional earth-like planet somewhere in the universe, orbiting a sun-like star. This desert region was formed by strong winds that sandblast and eroded the rocks to this mushroom-like forms.The planet has two moons, one of them a big asteroid in an unstable orbit. Captured some million years ago, it will probably collide with the planetary body in the near future (geologically spoken), with cataclysmic and devastating consequences for the planet.